Carrying on from our Music and Sounds topic last week, we did a lot of singing this week. We learned and tried to sing songs in Spanish while doing the actions. This week we used various types of tools including saws, hammers, spanners and scissors. The children are becoming rapidly aware of safety when handling tools, knowing how to hold them and around who they can use them. 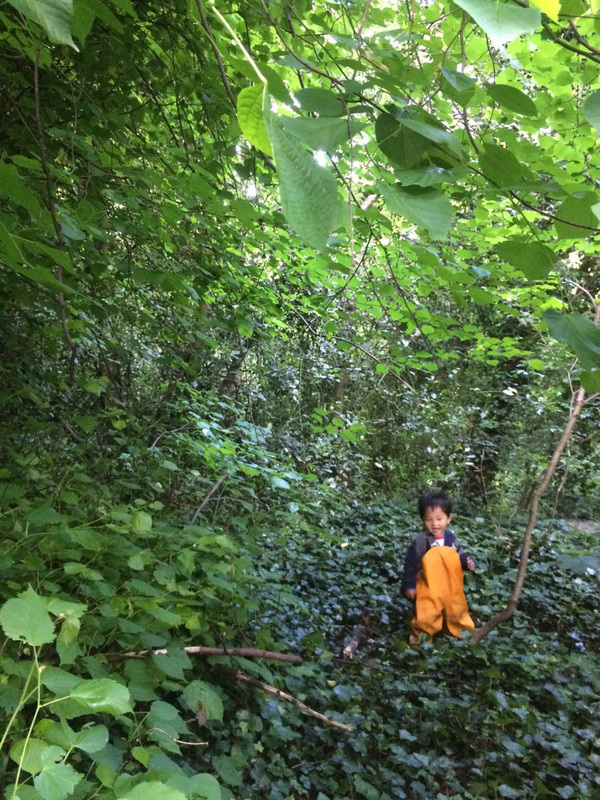 Some of the children had an idea to use the scissors to cut leaves off of a fallen branch. We took turns when using the scissors and very wisely shared. We did some junk modelling using a saw to split cardboard into little bits and then ripped off chunks of masking tape to make our own models. 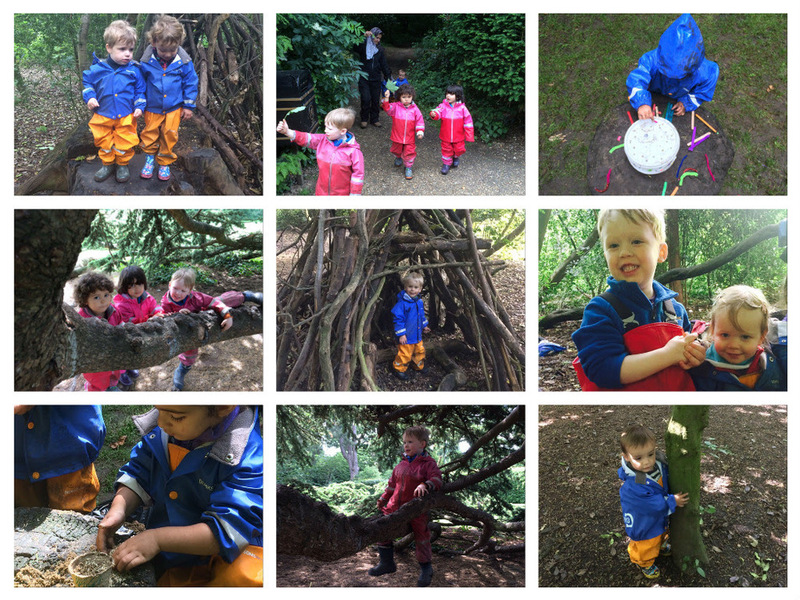 When going to listen to the orchestra that was playing at Chiswick house and Gardens, we found many more great trees to climb. With a little bit of a struggle we managed to climb up two branches. Empty classroom day every day! We decided to make something meaningful for Father’s Day so we used soil from our forest and planted grass seeds in pots. The children all enjoyed playing with the soil and taking the seeds to scatter all over our meadow. As you know, we’ve had more rain this week which meant there was plenty of splashing in muddy puddles. Next week we will be looking at different colours and shades. We will be doing activities including arts and crafts but mainly exploring the different colours and shades in the forest. Our new menus have been a hit with the children, they are really enjoying homemade healthy meals in courtesy of Becky our Cookery Teacher.